We continue to add more and more of our personal data onto Facebook. Zuckerberg’s company knows everything from what you had for dinner last night to who you went on holiday with during Fall 2011. We willfully share our favorite books, brands, and beverages, all in a quest for a social validation that will almost inevitably end in failure and unhappiness. Given how much data we’ve added to our profiles, it’s more important than ever to make sure you stay on top of Facebook’s privacy settings The Complete Facebook Privacy Guide The Complete Facebook Privacy Guide Privacy on Facebook is a complex beast. Many important settings are hidden out of sight. Here's a complete look at every Facebook privacy setting you need to know about. Read More . But even if you’re a privacy junkie, you still run the risk of someone hacking your account. Not even a strong password How to Create a Strong Password That You Will Not Forget How to Create a Strong Password That You Will Not Forget Do you know how to create and remember a good password? Here are some tips and tricks to maintain strong, separate passwords for all of your online accounts. Read More will necessarily save you; you could lose your phone or accidentally leave yourself logged in on a public computer. Luckily, Facebook offers a few safeguards. Here’s how to find out if someone has hacked your Facebook account. Facebook tracks all the devices you use to log into your account. Typically, they’ll be your smartphone, tablet, laptop, and – if you have a generous employer – your office computer. If a login request is ever received from an unusual device or browser, you can get Facebook to send you a notification. To set the feature up, log into your Facebook account, click on the small arrow in the upper right-hand corner of the screen, and select Settings from the menu. Next, in the panel on the left-hand side of the screen, click on Security and Login. It’s the second item in the list. Now you need to scroll down to Setting up extra security > Get alerts about unrecognized logins. Click on Edit to see your options. You can request a smartphone notification, an email notification, or both. Mark the checkboxes next to your choices. When you’re ready, click on Save Changes. Even if you’ve not set up notifications for unrecognized or unusual logins, it’s still possible to see evidence of someone hacking your Facebook account. You can check a list of your active Facebook sessions, and see a complete history of your recent activity. To check the location where your account has been accessed, you once again need to click on the small arrow in the upper right-hand corner of the Facebook home screen and choose Settings from the drop-down menu. In the left-hand panel, select Security and Login. Next, scroll down to Where you’re logged in. You’ll see all the active and recent Facebook sessions. Sessions that are currently live will have an Active now indicator alongside the device/browser name. For each session, you can see the type of device, the location, and the date. If you see a session you don’t recognize, click on the three vertical dots alongside the session’s name and select Not You > Secure Account. Facebook will guide you through the various options it offers to make your account more secure. Remember, being hacked doesn’t necessarily mean someone has access to your credentials. As mentioned at the start, you might have accidentally left your account logged in on a public computer. Have your personal details (name, birthday, location, employer, etc.) been altered? Are you now friends with people you do not recognize? Have messages been sent from your account without your knowledge? Have you seen unusual posts on your timeline? In addition to Facebook’s own internal hacking tools, you can also turn to a few third-party sites that’ll let you know if it’s been compromised. One of the best is Have I Been Pwned. The website lets you enter an email address or username which is then used to scan the site’s database of hacks. If a hack has occurred, you’ll be told which accounts were breached and where the breach originated. You can also register your details and receive a notification if any new hacks occur in the future. 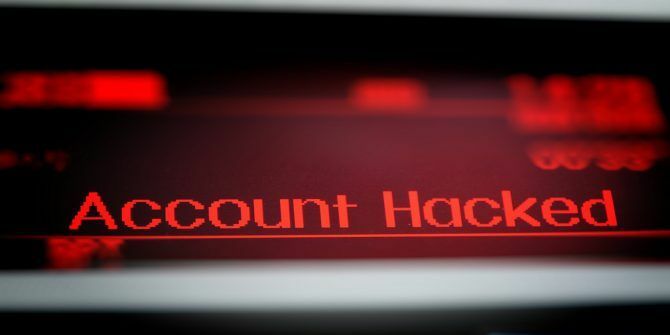 Remember, if you’re the victim of a hack, you should immediately change your password on the affected account. It’s also a good idea to set up two-factor authentication. If one of the tools we’ve discussed in this article makes you think that someone has compromised your Facebook account, you need to notify Facebook immediately 4 Things to Do Immediately When Your Facebook Account Is Hacked 4 Things to Do Immediately When Your Facebook Account Is Hacked Having your Facebook account hacked is a nightmare. Here's how to secure a hacked Facebook account and contain the damage. Read More . Only the first two lead you through Facebook’s internal account security questionnaire. The others take you to information pages about privacy and plagiarism. Do You Stay Abreast of Your Facebook Sessions? To summarize, Facebook offers two native tools that help you determine whether you have been hacked – alerts for unrecognized logins and a list of all your recent Facebook sessions. If you combine these tools with a third-party site and some basic common sense, you’ll be able to know immediately if someone has gained authorized access to your account. 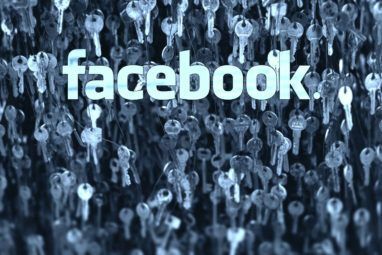 If you can no longer access your account, be sure to check out this guide on how to recover your Facebook account when you can no longer log in. Now we want to hear your stories. Do you use these tools regularly or were you unaware of them? Perhaps someone has even hacked your Facebook account? As always, you can leave all your stories, opinions, and input in the comments section below. And remember to share this article with your friends and followers on social media.